Dark Souls III (game, 2016). An action role-playing video game by Bandai Namco Entertainment FromSoftware JP/FromSoftware, Inc./BANDAI NAMCO Entertainment America/Bandai Namco Games. Developed by FromSoftware, Inc., BANDAI NAMCO Entertainment, From Software. Official Trailer. Dark Souls III is an action role-playing video game by Bandai Namco Entertainment FromSoftware JP, BANDAI NAMCO Entertainment America, FromSoftware, Inc. and Bandai Namco Games, developed by BANDAI NAMCO Entertainment, FromSoftware, Inc. and From Software. 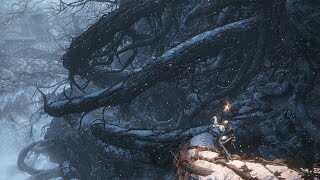 Dark Souls III - Ashes of Ariandel Launch Trailer | PS4, XB1, PC. Set in the Kingdom of Lothric, a bell has rung to signal that the First Flame, responsible for maintaining the Age of Fire, is dying out. As has happened many times before, the coming of the Age of Dark produces the undead: cursed beings that rise up after death. The Age of Fire can be prolonged with the linking of the fire, a ritual in which great lords and heroes sacrifice their souls to rekindle the First Flame. However, Prince Lothric, the chosen linker for this age, has abandoned his duty and instead chooses to watch the flame die from afar. The bell is the last hope for the Age of Fire, resurrecting previous Lords of Cinder (heroes who linked the flame in past ages) to attempt to link the fire again; however, all but one Lord shirk their duty. The Ashen One, an Undead who failed to become a Lord of Cinder and thus called an Unkindled, rises and must link the fire by returning Prince Lothric and the defiant Lords of Cinder to their thrones in Firelink Shrine. The Lords include the Abyss Watchers, a legion of warriors sworn to protect the land from the Abyss and linked by a single soul; Yhorm the Giant, who was once a conqueror of the very people for whom he then sacrificed his life; and Saint Aldrich of the Deep, who became a Lord of Cinder despite his ravenous appetite for both men and gods. Lothric himself was raised in order to link the First Flame, but rejected his destiny and chose to watch the fire fade. 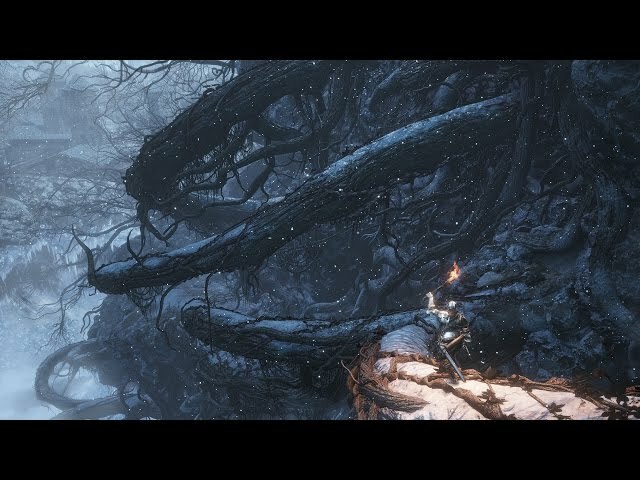 Once the Ashen One succeeds in returning Lothric and the Lords of Cinder to their thrones, they travel to the ruins of the Kiln of the First Flame. There, they encounter the Soul of Cinder, an amalgamation of all the previous Lords of Cinder who had linked the flame in the past. Once the Soul of Cinder is defeated, four endings are made possible based on the player's actions during the game. The player can attempt to link the fire, summon the Fire Keeper to extinguish the flame and begin an age of Dark or kill her. A fourth ending consists of the Ashen One taking the flame for their own and becoming the Dark Lord of Londor. Dark Souls III is an action role-playing game played in a third-person perspective, similar to previous games in the series. According to lead director and series creator Hidetaka Miyazaki, the game's gameplay design followed "closely from Dark Souls II". Players are equipped with a variety of weapons to fight against enemies, such as bows, throwable projectiles, and swords. Shields can act as secondary weapons but they are mainly used to deflect enemies' attacks and protect the player from suffering damage. Each weapon has two basic types of attacks, one being a standard attack, and the other being slightly more powerful that can be charged up, similar to FromSoftware's previous game, Bloodborne. In addition, attacks can be evaded through dodge-rolling. Bonfires, which serve as checkpoints, return from previous installments. Ashes, according to Miyazaki, play an important role in the game. Magic is featured in the game, with a returning magic system from Demon's Souls, now known as "focus points" (FP). When performing spells, the players' focus points are consumed. There are two separate types of Estus Flasks in the game, which can be allotted to fit a players' particular play style. One of them refills hit points like previous games in the series, while another, newly introduced in Dark Souls III, refills focus points. Combat and movements were made faster and more fluid in Dark Souls III, with several players' movements, such as backstepping and swinging heavy weapons, able to be performed more rapidly, allowing players to deal more damage in a short period of time. Dark Souls III was scheduled to be released by Bandai Namco Entertainment FromSoftware JP, FromSoftware, Inc., BANDAI NAMCO Entertainment America and Bandai Namco Games on March 24, 2016 (Japan), on April 11, 2016 and on April 12, 2016 (worldwide).